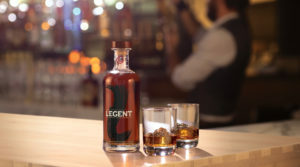 Pearlfisher announced its partnership with Beam Suntory in the creation of Legent – a unique bourbon that brings together the best of the East and West in a way no other whiskey producer can. 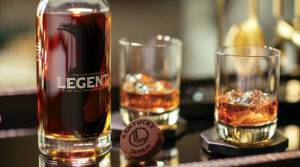 A first-of-its-kind, Legent (pronounced ‘lee-jent’) is a unique innovation that starts as a Kentucky Straight Bourbon with the Beam classic family recipe and is aged in wine and sherry casks before being blended with more Kentucky Straight Bourbon, resulting in a perfectly balanced yet complex and layered whiskey that is truly extraordinary. Pearlfisher was challenged with conceptualising a visual identity and packaging design to reflect the unique nature of this special and unique innovation. 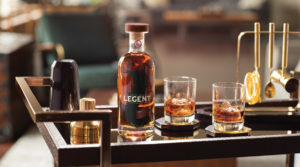 The smoothness of the glass bottle – with its softened edges – reflects the rounded nature of the bourbon, which is also represented in the softened edges of the brand’s typography. Definitive gold and white lettering is used to stand out and evoke a premium and American and Japanese aesthetic. 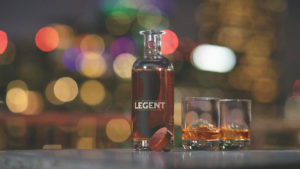 Legent has first hit the United States market during a time of strong whiskey category growth in North America and will roll out to other countries later this year. The highly versatile bourbon is best enjoyed neat, on the rocks or in a classic or new-age bourbon cocktail. 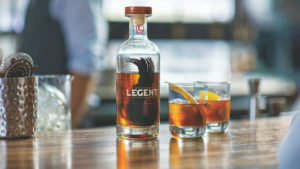 Legent is available in 750mL (47% abv / 94 proof) in select markets throughout the United States for a suggested retail price of $34.99 USD.